The announcement was made today by Anayansi Rodriguez Camejo, Vice Minister of Foreign Affairs, who said that the new medical brigade will join the 372 Cuban health collaborators working in that country, of which 36 cooperate since the first time the cyclone touched land on March 14, according to information from the cubaminrex digital site. She added that their presence responds to the historical Cuban-African solidarity links and in particular to the catastrophic damages caused by the hurricane, with close to 500 deaths, according to statistics from the National Institute of Emergency Management of the government of that Republic, although several news sources report even greater numbers of deaths. Several regions of Mozambique were hit by Cyclone Idai, which with winds of 170 kilometers per hour also left 110,000 people homeless, and extensive material damage. The vice-president of MINREX accompanied Gladys Bejerano Portela, vice-president of the Council of State and Comptroller General of the Republic, to the signing of the book of condolences opened at the Mozambican embassy in Havana. 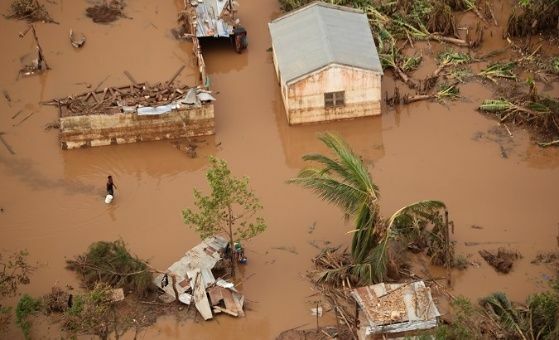 On behalf of the Cuban State, Government and people, we express our deepest condolences, sorrow and solidarity with the government and people of the sister Republic of Mozambique in the face of the lamentable human and economic losses caused by Idai, Bejerano Portela wrote. With the memory of our leaders and the history that unites us, she assured, Cuba will always be on Mozambique's side. Maputo is the capital of that African nation, with almost 25 million inhabitants and an area of 799,380 square kilometers, which was the most damaged by Idai, which reached category four, out of a maximum of five on the Saffir-Simpson scale.